The Yaesu FT-101E is a hybrid transceiver that employs a solid state transmitter, receiver, and a tube final amplifier. The tube amplifier consists of a 12BY7A driver tube that feeds a pair of 6JS6C tubes which provide a nominal output power of 130 watts PEP on SSB, 90 watts on CW or 40 watts on AM. The pair of 6JS6C tubes are matched to 50 ohms through a conventional pi-output network. The pi-network transforms the 3000 ohm output impedance of the tubes to 50 ohms. This pi-network also provides harmonic attenuation, and can actually be set to match a variety of output impedances from 25 to 100 ohms. A really neat thing about these transceivers is the fact that they were made with plug-in boards that could be easily pulled out of the transceiver and sent to the factory for repair. 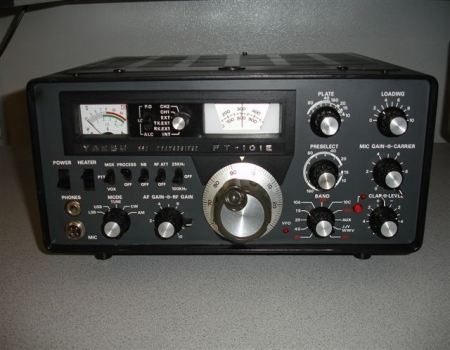 This modular design was unprecedented in the amateur community, which may help to explain why so many of the Yaesu FT-101's are still in use today. The FT-101E can transmit and receive on the 160 meter to 10 meter amateur radio bands. Reception of WWV is possible in the range of 10 to 10.5 MHz. 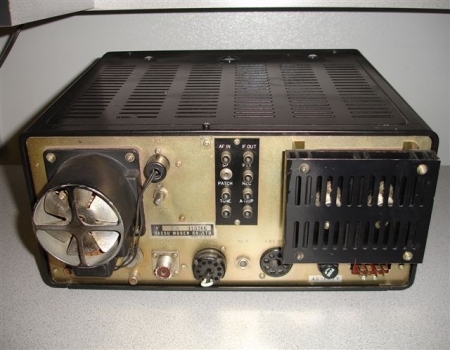 Some of the other features included a built-in AC and DC power supplies, a true RF Speech Processor, a solid state VFO with 1kHz resolution, built-in and adjustable VOX, adjustable CW Side tone, a selectable 25 kHz and 100 kHz calibrator/marker, RIT control with +/- 5 kHz range, a built-in speaker and a eight pole SSB filter. The size of this item is 13-1/2" wide by 6" high by 11-1/2 deep and weighs in at 35 pounds. 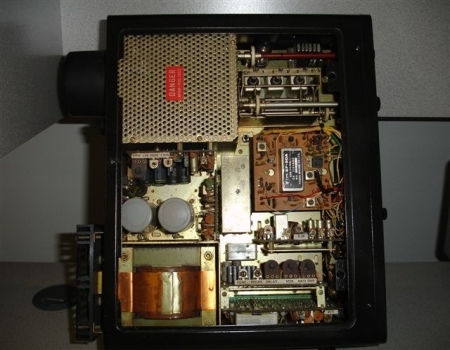 The photograph on the left is a picture showing the side of the Yaesu FT-101E. The Yaesu fans out there may instantly question the color of this Yaesu as not being original, and they would be correct in their assessment. 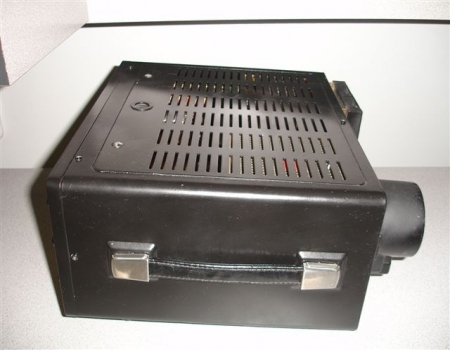 This FT-101 originally left the factory with a gray cabinet but is now painted in a black color. The photograph on the right is a picture of the radio with the top cover removed. Here we can see the main power supply transformer as well as the RF cage that encase the two 6JS6C tubes. Some of the modular circuit boards can also be seen as well. As discussed in the text above, the owner of a Yaesu FT-101 series of radio can pull out these boards as easily as pulling out a defective tube. A special thanks goes to Vic Fiallo(NV4DX) who personally hand delivered this Yaesu.